Da Capo Press, 9780306903281, 480pp. 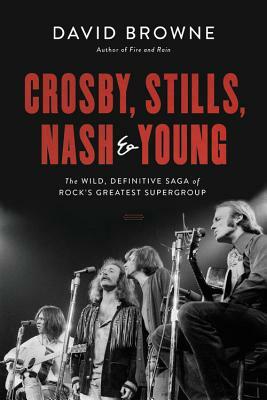 David Browne is a senior writer at Rolling Stone and is the author of So Many Roads: The Life and Times of the Grateful Dead and Fire and Rain: The Beatles, Simon & Garfunkel, James Taylor, CSNY, and the Lost Story of 1970 as well as biographies of Sonic Youth and Jeff and Tim Buckley. His work has appeared in the New York Times, Spin, The New Republic, and other outlets. He lives in Manhattan.